Agro-ecological practices have been in existence for years where farmers are engaged with the context based agriculture guided by Law of Nature, diversified cultures and based on diversity of food systems. “Globally, agriculture displaces natural ecosystems, uses too much fresh water, pollutes rivers and coastal seas, and releases greenhouse gases. Altogether, today’s agriculture impacts all planetary boundaries that we should stay within to avoid large-scale and abrupt environmental change. 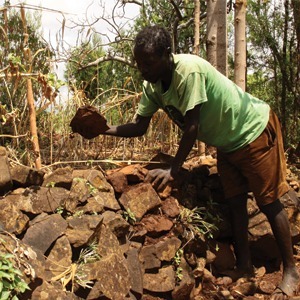 In this context an agro-ecological approach holds much promise.” FASSIL GEBEYEHU writes. Agriculture’s role in achieving food security and economic growth has generally been recognised by a number of scientific communities and development practitioners. However, there are differentiated views towards agricultural policy approaches. Some suggest that agriculture needs to be mechanised and high technologies should be applied so as to achieve economic growth (Johnston and Mellor, 1961, Peter Hazell and Diao, 2005). Others suggest an integrated strategy in which the local-specific and experiential knowledge-based agricultural system could be integrated with the scientific and research-based approaches to achieve food security and economic growth (Beshah, 2003, Ruben, 2005, Byerlee et al., 2007). When it comes to the context of developing countries, such as Sub-Saharan Africa, where rural areas account for 70% of the population and 20 – 40% of GDP, the role of agriculture remains significant and serves as a food source as well as export-led economic growth (Byerlee et al., 2007, Godfray et al., 2010). Triggered by the food crises in 2008, the current trend reveals that the role of agriculture in economic growth has been attracting the attention of development practitioners and donor communities, whereby the World Bank doubled its support by 2010 (Byerlee et al., 2007). However, there is growing concern with respect to the way that agriculture is developing in Africa and beyond. Ruben (2005) states that: “Agricultural research systems in Africa have produced technologies that are inappropriate to the factor endowments (such as land, labour and capital) of most LFA (Less Favoured Areas) smallholders. Often there has been too much emphasis on increasing land productivity and not enough on the need for sustainability, stability (reduction of annual fluctuations in output) and multiple outputs (crop diversification in order to reduce income risks)”. This shows that the future of agriculture for development is spearheading towards a market-oriented and high input agricultural system, whereas alternative agro-ecological practices, which are mainly integrated with social, cultural and agro-ecological situations, seems underestimated by donor communities and the developed world. Agro-ecological practices have been in existence for years where farmers (particularly smallholder farmers) are engaged with the context based agriculture guided by Law of Nature, diversified cultures and based on diversity of food systems. Peter Hazell and Diao (2005) explained that there is a significant influence to shift the direction of African development towards industrialisation. During the past decades, globalisation and free market economy with development ideas such as importation of substitute grains and food stuff emerged to shift the focus of African countries towards industrialisation; diversification of income for rural communities through the increased rural-urban mobility and migration; expansion of small farms to ensure viability towards global market etc. It seems that many African governments are increasingly adapting technology-based and market-oriented agricultural systems to achieve industrialisation for their economic growth. However, agriculture in Africa is often characterised by smallholder farming which arguably is not suitable for growing surplus tradable cash crops, because smallholders are often engaged in diversified agriculture on relatively small farms in areas of dense populations. Individual landholding for most smallholder farmers, particularly in Africa, would not be more than a hectare or two, so that surplus production for market might not be realistic. For example, over 60% of Ethiopia’s farmers’ landholding is less than a hectare (ATA, 2010) and this goes as low as 0.25 ha (for an unmarried farmer) in some cases in Northern Ethiopia. Through continuous sharing of land amongst family members, the landholding of individual farmers is resulting in fragmentation of land. This implies that designing agricultural production for commercial purposes in smallholder agriculture has little value because the economics of rural households works in such a way that farmers often participate in the market to sell some agricultural products and artefacts. Such a subsistence economy is also supported by off-farm activities, where farms could be involved in full- and part-time occupations such as processing and selling food, cottage industries like weaving, basketry, pottery and sidelines in trade, transport and construction. Hence, altering smallholder agriculture in search of profit could be disrupting fragile ecosystems. In regions such as Sub-Saharan Africa, growing large-scale tradable crops (surplus production) would be difficult where smallholder agriculture prevails and farmlands are scattered across different agro-ecological zones (Peter Hazell and Diao, 2005). The nature of productivity in these kinds of environments is characterised by the context based agro-ecological practices which fits with specific locations and micro climatic situations. Staple food production is the main sub-sector of this kind of agriculture which is critical for ensuring food security/food sovereignty and contributing towards economic growth. The significance of staple food production is found to be crucial as most African governments suffer a shortage of foreign exchange for importing substitute foodstuff and cereals (Byerlee et al., 2007, Derek et al., 2009). For example, China’s and India’s staple food production is more than a third of agricultural output and more than a half in Vietnam. For the last 40 – 50 years, agriculture contributes to the increment of agricultural production averaging 2.3% from 1965 – 1998 in Asia and particularly in Africa; This figure is much more increased by now and much of this growth has been in smallholder agriculture (Peacock, 2004). Evidence from Southeast Asian countries such as Indonesia, Malaysia and Thailand as well as Taiwan, Republic of Korea and China reveals that supporting smallholder agriculture resulted in growth in agricultural output. These countries ‘reduced agricultural taxation in the 1970s and started to support smallholders. They also established favourable macroeconomic policies, invested in rural infrastructure and social services, provided research and extension services, and supported viable smallholder credit systems’ (Binswanger and Deininger, 1997). Most important point here is the fact that smallholder agriculture which is mostly characterised by agro-ecological practices has been playing a significant role in regards to achieving food security/sovereignty because this sector accounts for a significant proportion of the world population who are mostly poor and mainly living in rural areas. Regarding enhancement of productivity on local crop varieties, there are many success stories in Africa in which farmers have managed to increase agricultural productivity through practicing agroecology. For example, a Zambian farmer had been successful after a local partner provided him with training in various methods of soil and water conservation, so that he managed to increase his agricultural production using natural fertiliser (compost), chicken and green manures, and preparing his fields with zai holes, a minimum tillage technique (Peacock, 2004). There are also many cases in Ghana, Benin, Tanzania, Kenya, Uganda and Ethiopia where smallholder farmers succeeded in enhancing productivity of their farmers’ crop varieties using agro-ecological practices such as use of natural fertiliser, crop rotation, multiple cropping, farmers’ led plant breeding etc. (SIANI, 2015). The policy brief from SIANI (2015) stated that “Globally, agriculture displaces natural ecosystems, uses too much fresh water, pollutes rivers and coastal seas, and releases greenhouse gases. Altogether, today’s agriculture impacts all planetary boundaries that we should stay within to avoid large-scale and abrupt environmental change. In this context an agro-ecological approach holds much promise”. Peter Hazell and Diao (2005) explained that there is a significant influence to shift the direction of African development towards industrialisation. During the past decades, globalisation and free market economy with development ideas such as importation of substitute grains and food stuff emerged to shift the focus of African countries towards industrialisation; diversification of income for rural communities through the increased rural-urban mobility and migration; expansion of small farms to ensure viability towards global market etc. Evidence from Southeast Asian countries such as Indonesia, Malaysia and Thailand as well as Taiwan, Republic of Korea and China reveals that supporting smallholder agriculture resulted in growth in agricultural output. These countries ‘reduced agricultural taxation in the 1970s and started to support smallholders. They also established favourable macroeconomic policies, invested in rural infrastructure and social services, provided research and extension services, and supported viable smallholder credit systems’ (Binswanger and Deininger, 1997). Most important point here is the fact that smallholder agriculture which is mostly characterised by agro-ecological practices has been playing a significant role in regards to achieving food security/sovereignty because this sector accounts for a significant proportion of the world population who are mostly poor and mainly living in rural areas. The policy brief from SIANI (2015) stated that “Globally, agriculture displaces natural ecosystems, uses too much fresh water, pollutes rivers and coastal seas, and releases greenhouse gases. Altogether, today’s agriculture impacts all planetary boundaries that we should stay within to avoid large-scale and abrupt environmental change. In this context an agro-ecological approach holds much promise”. JOHNSTON, B. F. & MELLOR, J. W. 1961. The Role of Agriculture in Economic Development.